The Navy Mile on Pennsylvania Avenue is sponsored annually by the National Capital Council of the Navy League and celebrates the U.S. Navy’s birthday while raising funds for our charitable partners (U.S. Naval Sea Cadets, Navy Safe Harbor Foundation and Navy Memorial). In 2018, The Navy Mile, presented by USAA, will dedicate race heats to individuals who lost their lives in the line of duty whom we desire to recognize for their courage and service to our nation. This year, we will proudly dedicate the 2018 Sea Cadet/Military Youth heat to Special Warfare Operator Petty Officer First Class Patrick D. Feeks, the 2018 men’s and women’s elite heats to Special Warfare Operator Chief Charles Humphrey Keating, IV, and the 2018 Wounded Warrior heat to Commander William C. McCool. Petty Officer Feeks was very passionate and active in the U.S. Naval Sea Cadets and participated in the program from 1997-2002. He was also noted to be a standout cross country runner and swimmer. 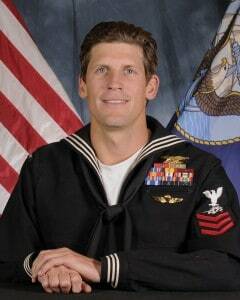 After enlisting in 2006, Feeks received his Navy SEAL Trident in May, 2008. 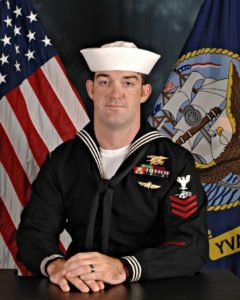 Petty Officer Feeks killed in action when his helicopter was shot down during operations against the Taliban in Afghanistan on August 16, 2012. Register for The Navy Mile to participate in this event and to support the US Naval Sea Cadets. It’s more than a mile, it’s a tribute. Before joining the Navy in 2008, Keating spent two years at Indiana University where he excelled as a member of the cross-country team and as a miler on the Hoosier track and field team. He lost his life in Iraq in 2016 while leading his quick reaction force (QRF) team as they successfully held the line against an overwhelming ISIS attack element. His sacrifice saved countless others. He was advanced to Chief Petty Officer following his death and his personal decorations include the Navy Cross, Purple Heart, and Bronze Star Medal with valor. We appreciate CPO Keating’s selflessness and are proud to honor him by dedicating the elite heats in his honor. Register today to join us and show your support. 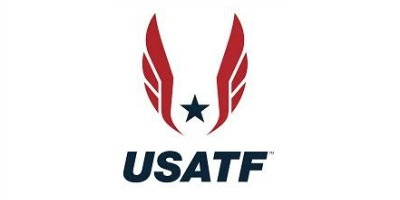 Commander McCool excelled as a distance runner at the U.S. Naval Academy before graduating in 1983. 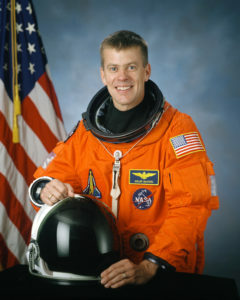 He eventually became a NASA astronaut and piloted the Space Shuttle Columbia mission which tragically disintegrated during re-entry into the atmosphere. McCool was posthumously awarded the Congressional Space Medal of Honor. We appreciate Commander McCool’s courage and devotion to our nation and science and are proud to dedicate the Wounded Warrior heat in his honor. Register here to race with us and honor the sacrifice.